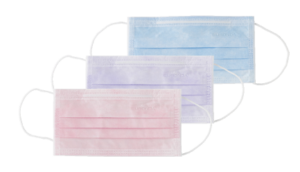 Disposable Monoart® Face Masks are class I medical devices that provide exceptional comfort and total protection for staff. 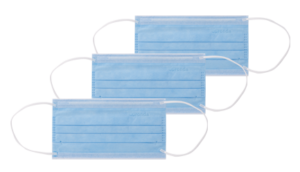 They come in 3-layer and 4-layer versions, to suit different needs. 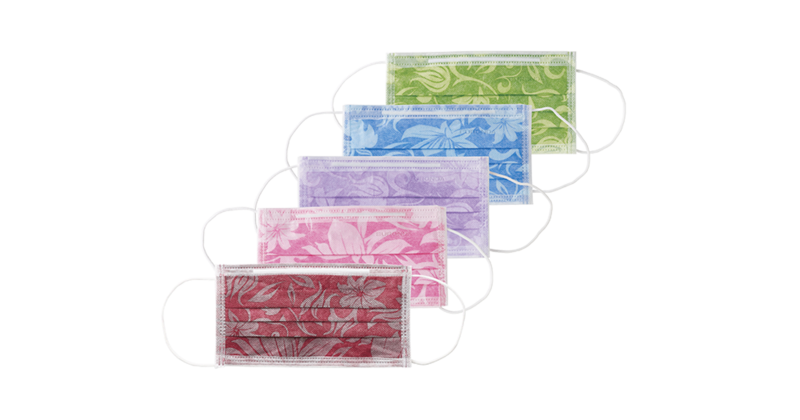 In addition, there are disposable face masks with floral patterns for fashion-conscious users. Two versions are available: with 3 or 4 layers. 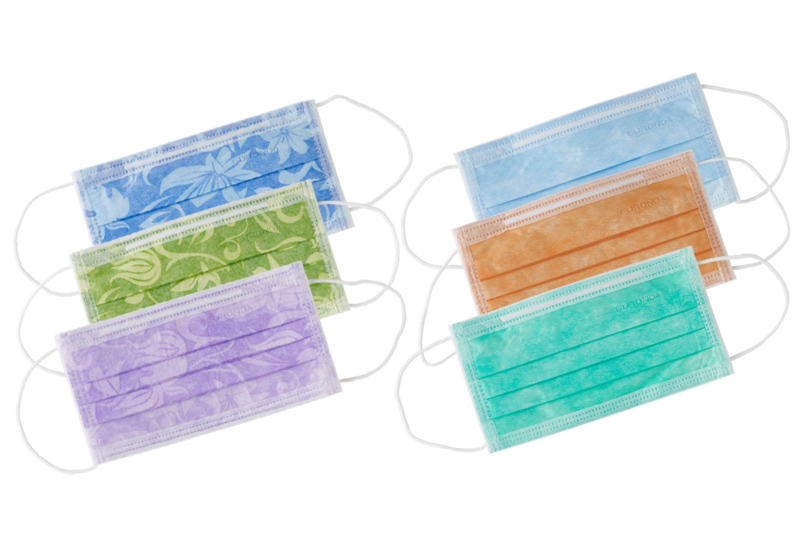 They are made entirely of hypo-allergenic materials and guaranteed to last for 3 hours. 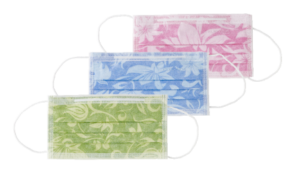 External layer made of water-repellent non-woven fabric for protection from dust and moisture. 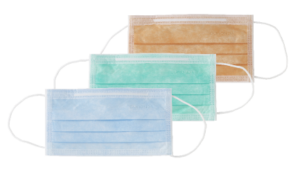 Lining with particle and bacteria filters. 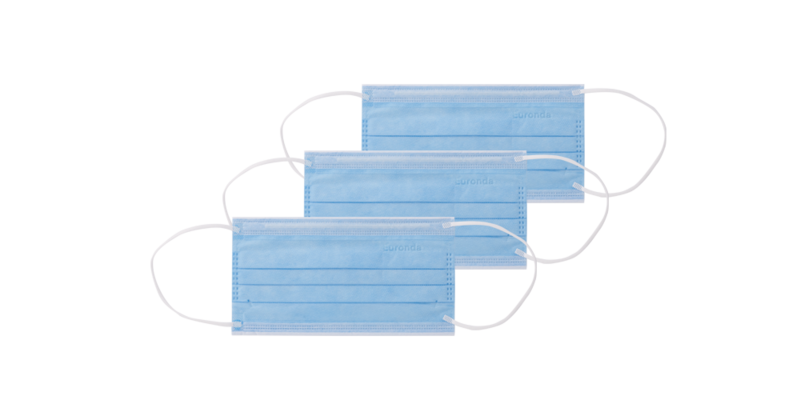 Protection 4 also comes with a polymeric filter for excellent resistance against fluids. 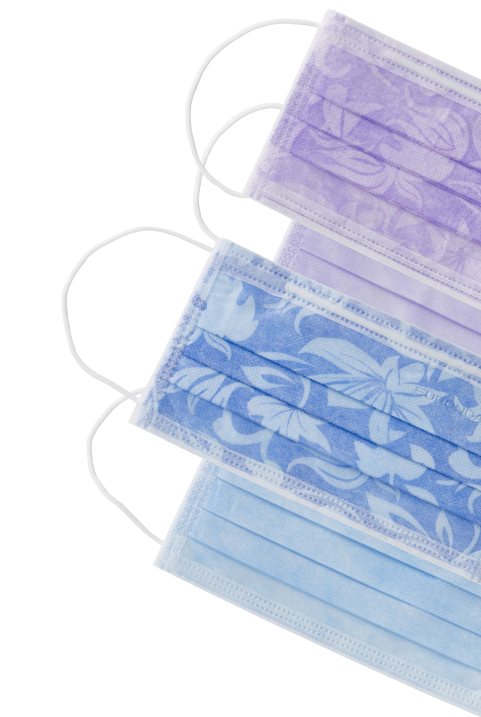 Absorbent non-woven fabric lining for effective absorption of perspiration and humidity. Built-in nose bridge. The unmistakeable look of Euronda Monoart® colours. 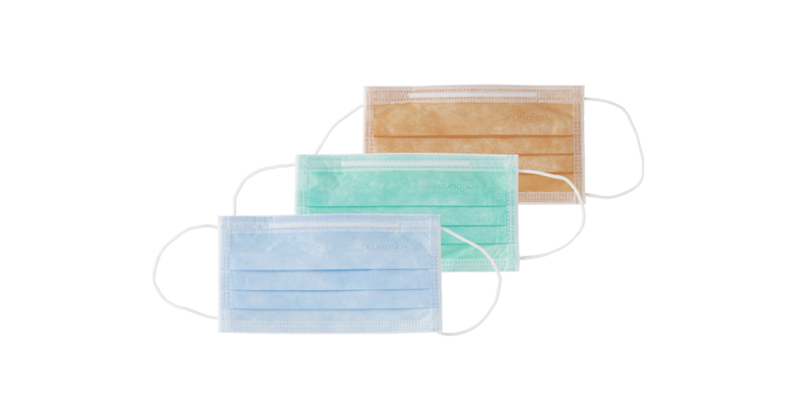 Monoart® Protection 3 Face Mask: triple protection from bacteria, dust and aerosols. 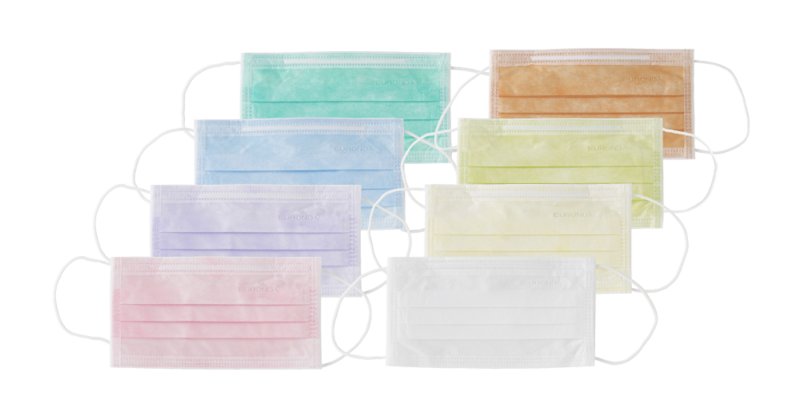 Monoart® Protection 4 Face Mask: total protection, including from residue, moisture and fluids.